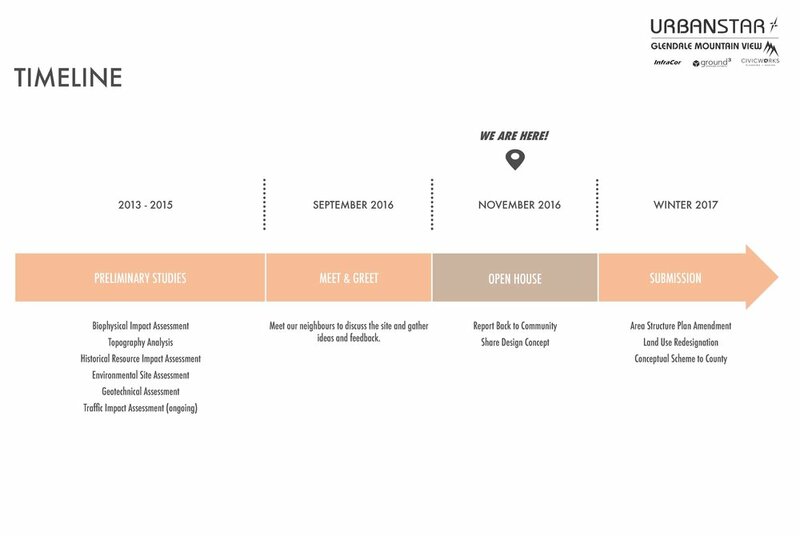 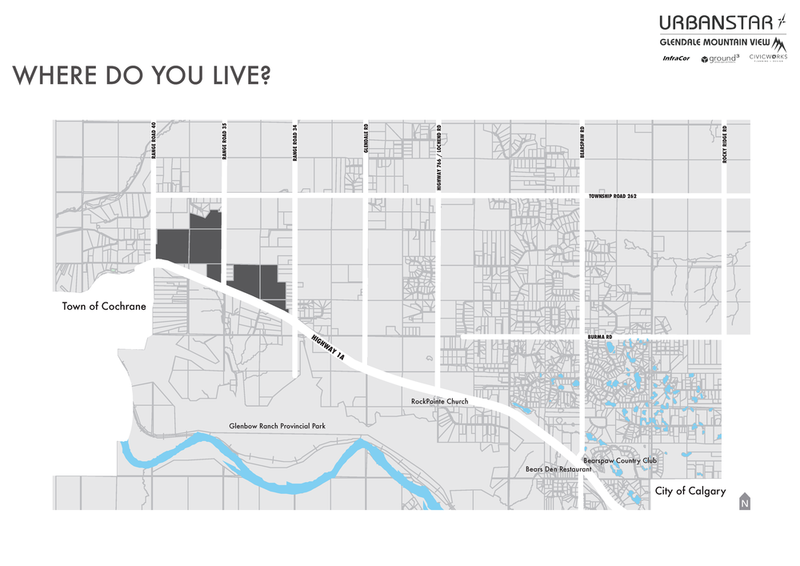 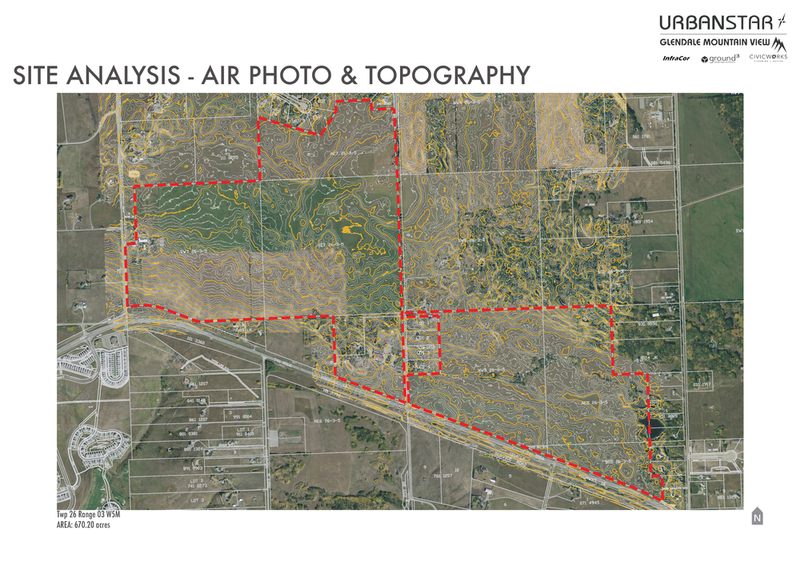 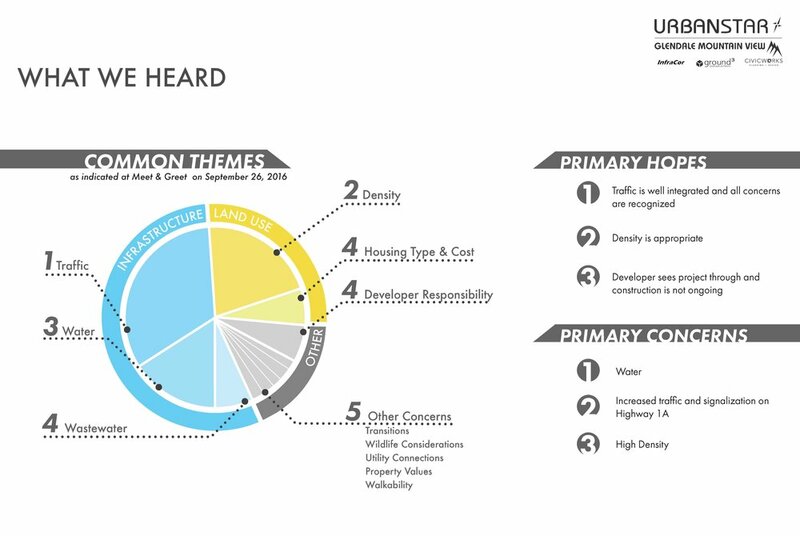 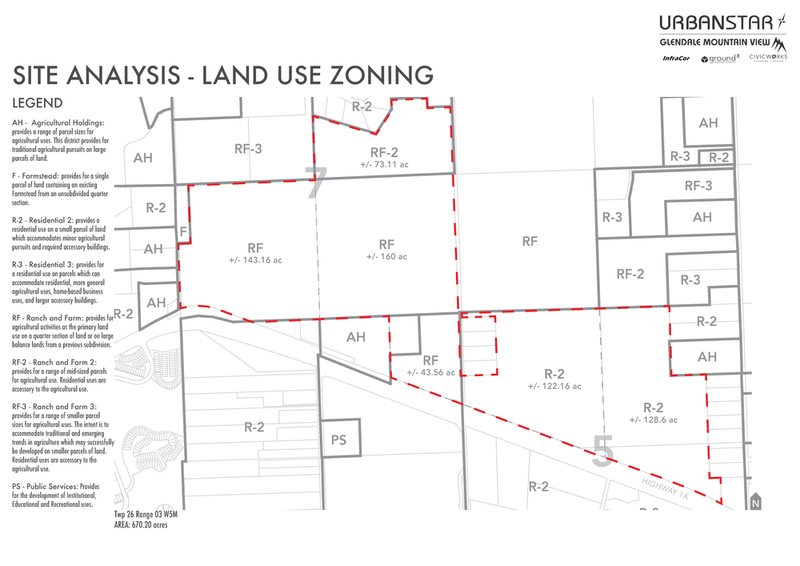 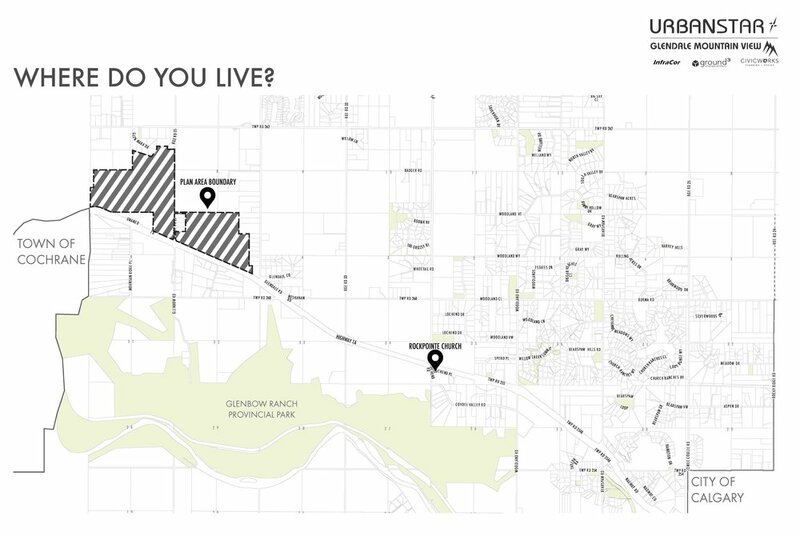 This website is an opportunity for community members to learn more about the Glendale Mountain View Conceptual Scheme. 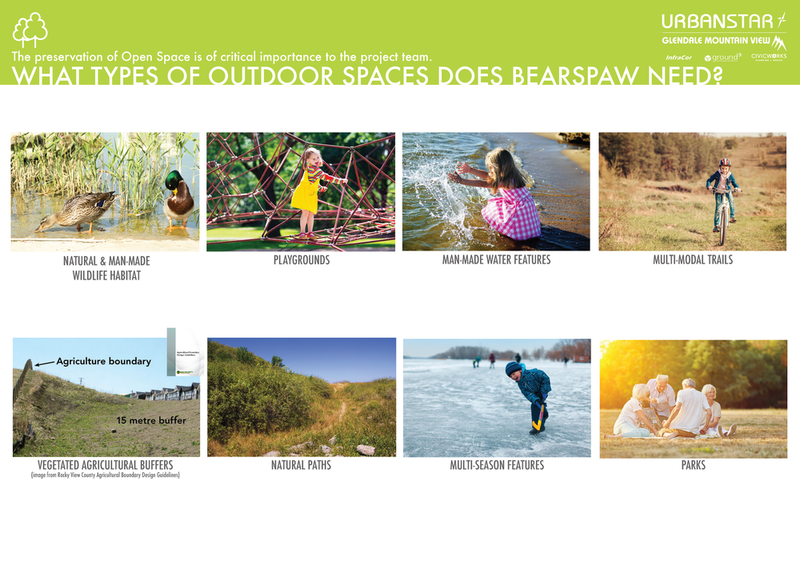 The Glendale Mountain View Conceptual Scheme will showcase a community that is amenity rich and fully embodies the natural environment and character of Bearspaw. 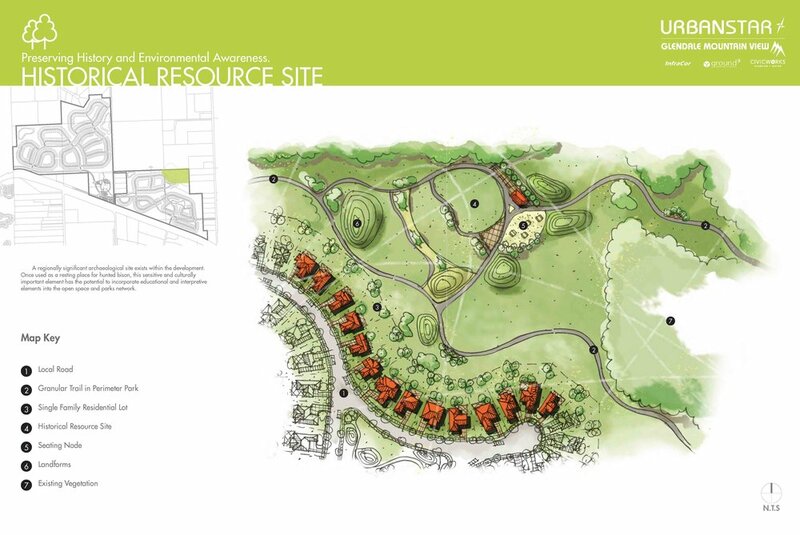 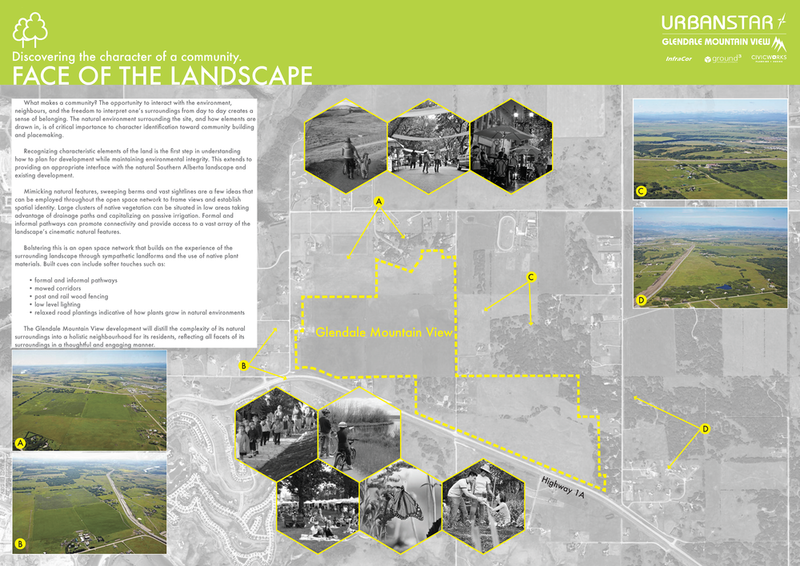 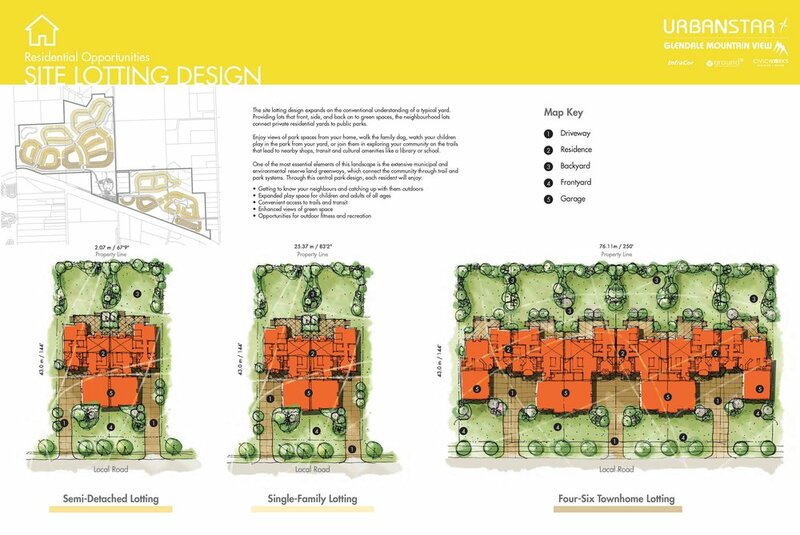 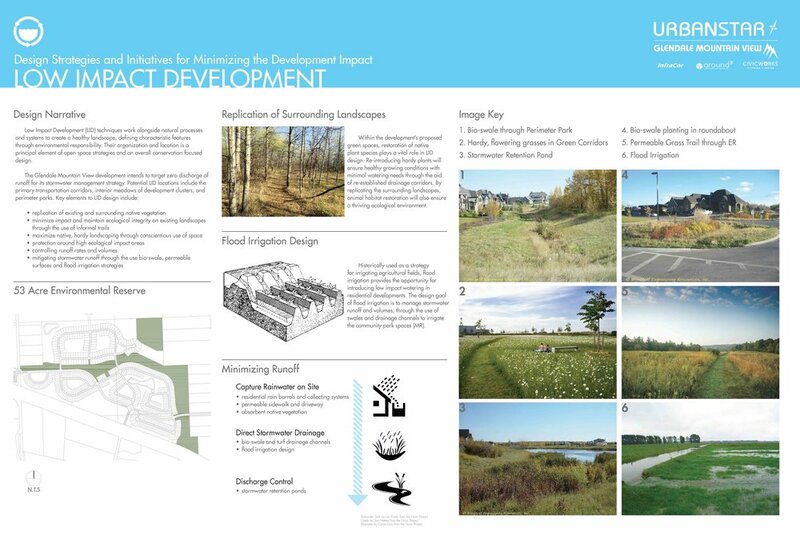 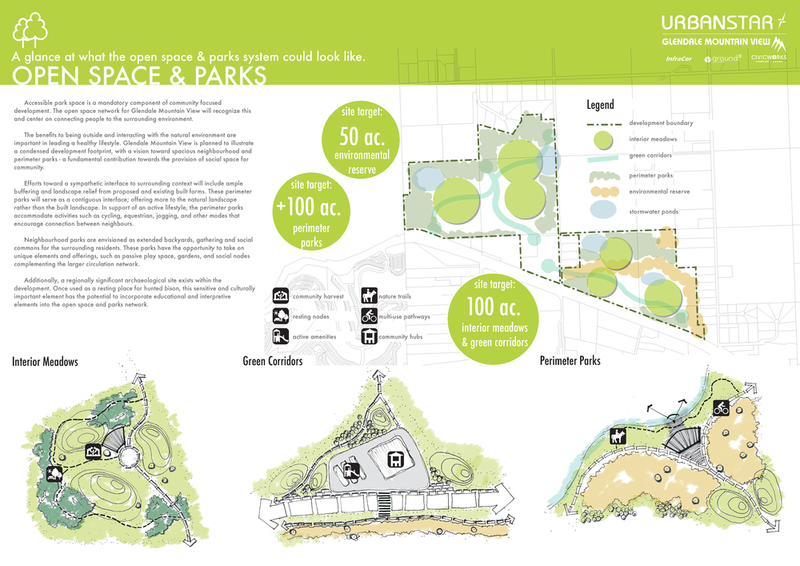 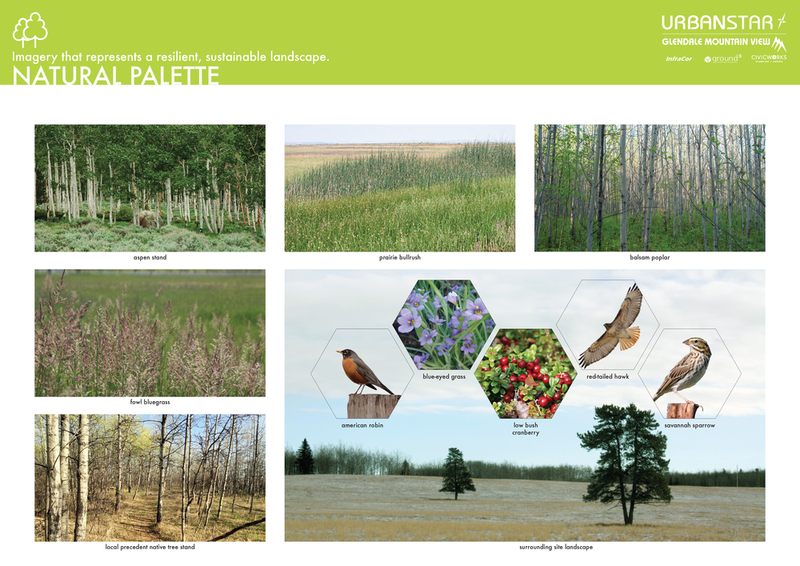 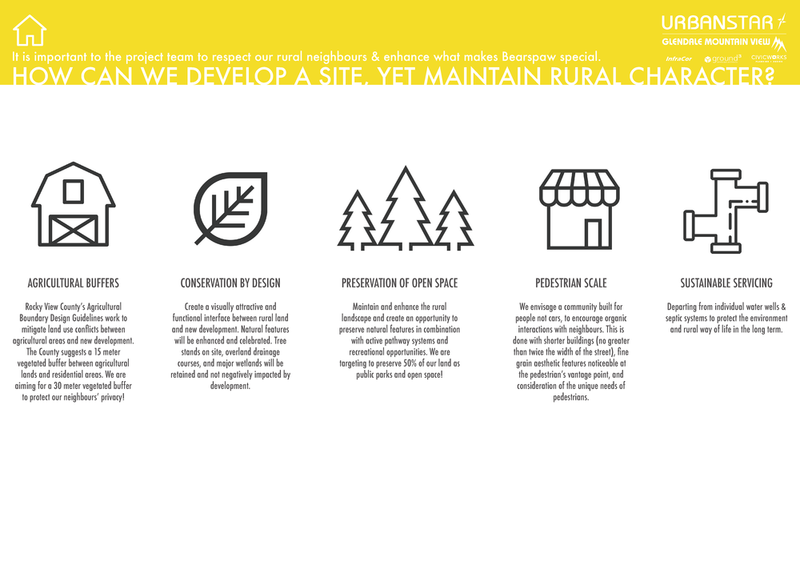 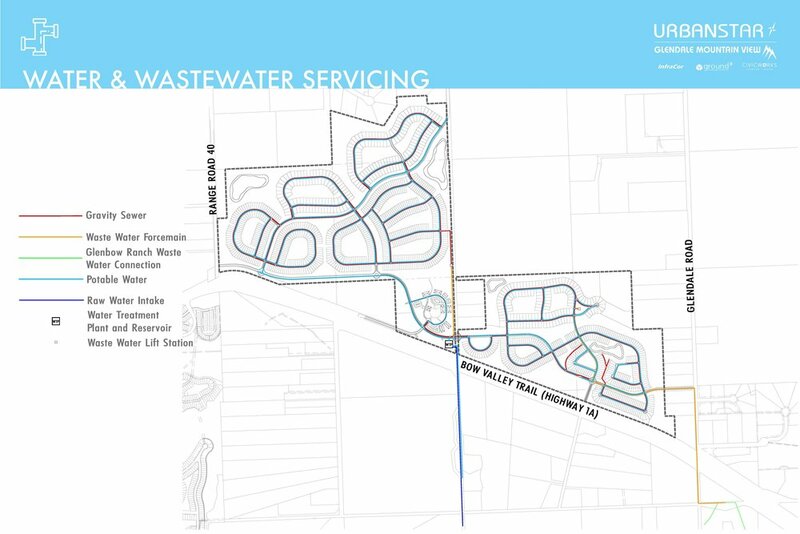 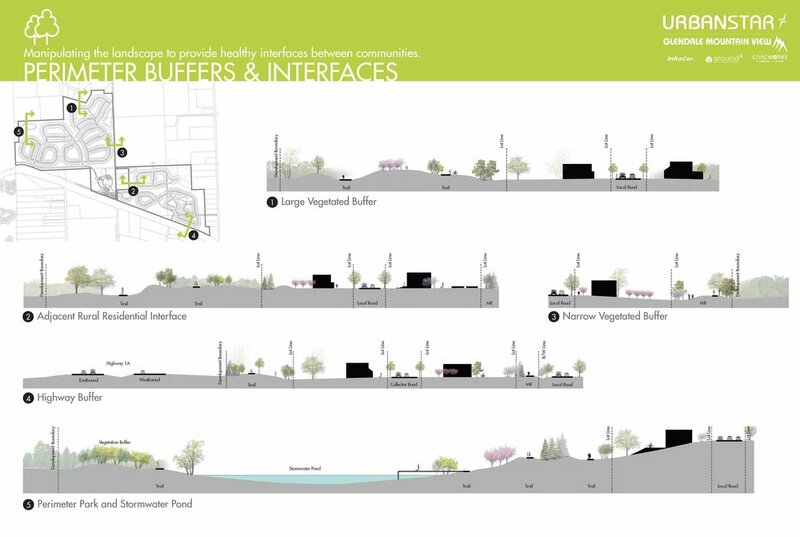 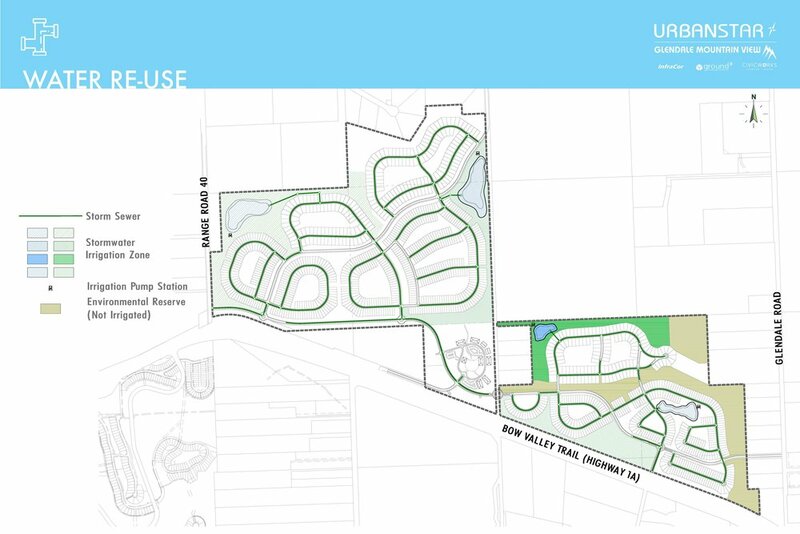 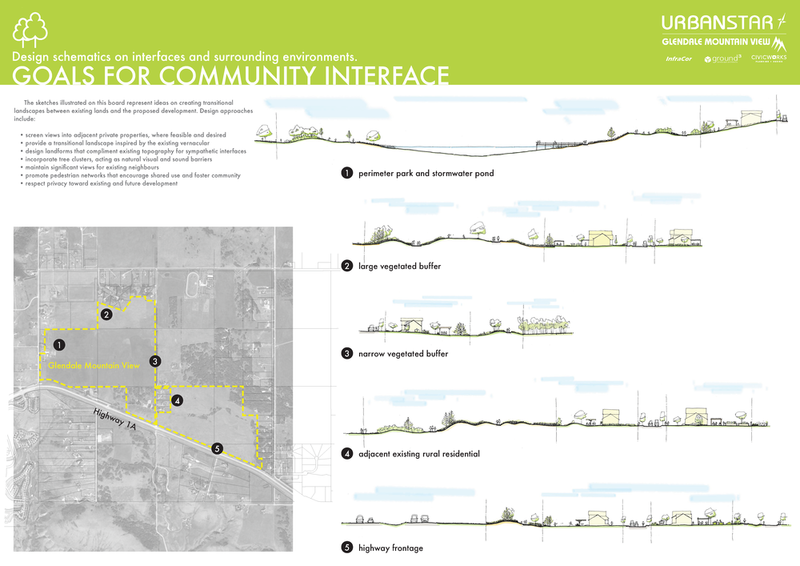 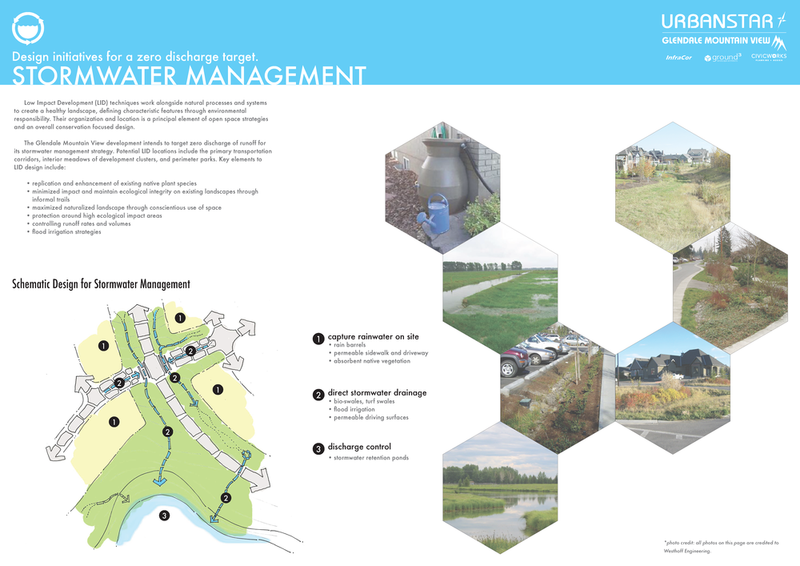 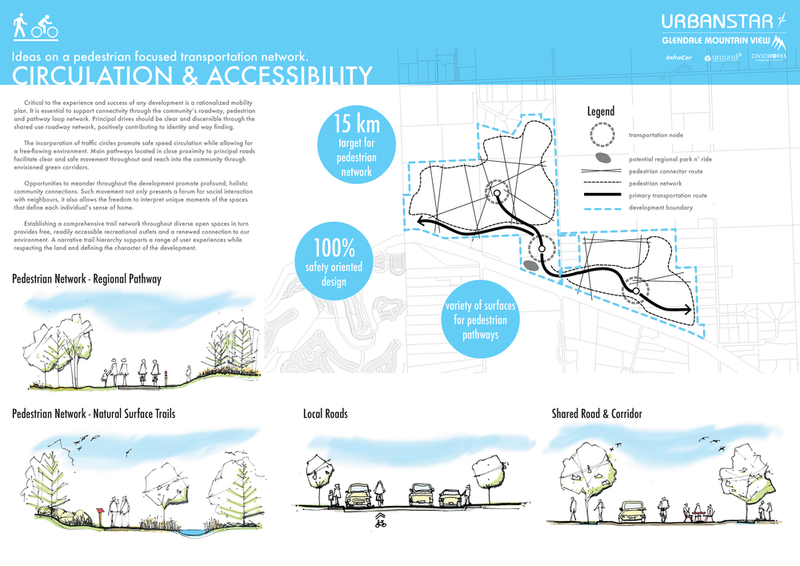 This community will celebrate the complexity of its natural surroundings through an organic neighbourhood design that is dedicated to maintaining open space through interconnected pathways and parks. 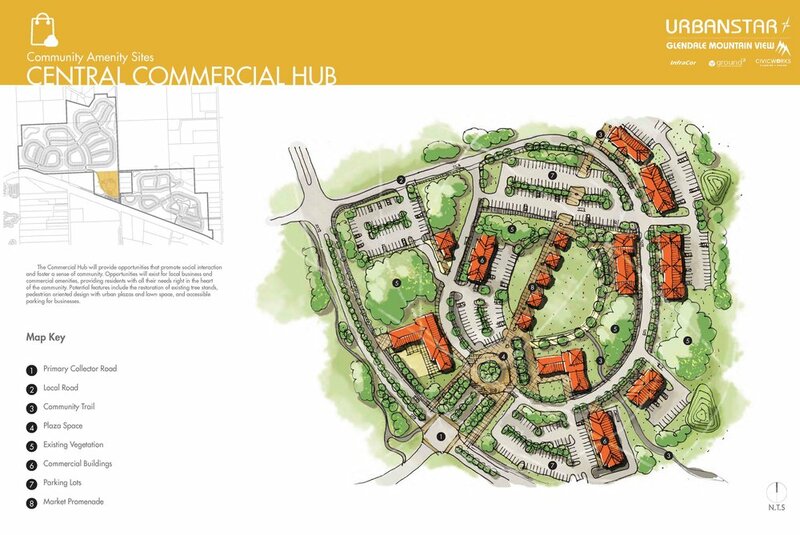 Public amenities, a quaint commercial node, and variety of housing opportunities are envisaged for this community. 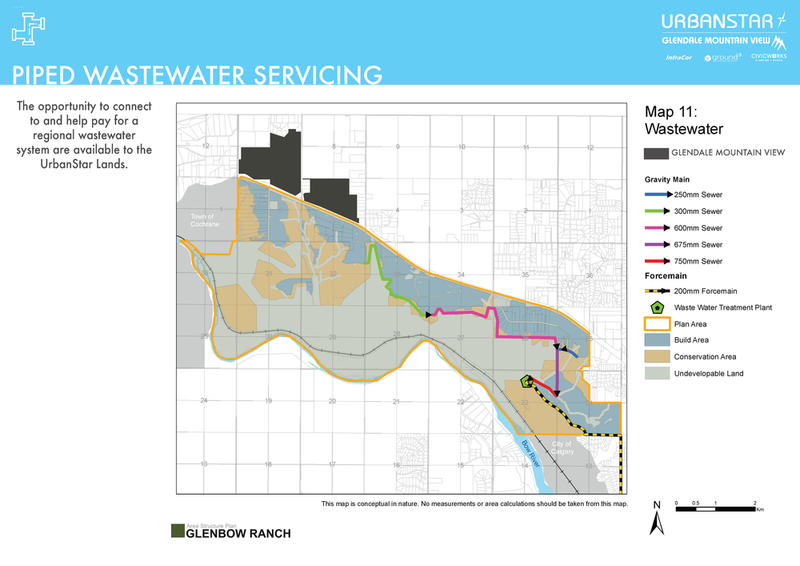 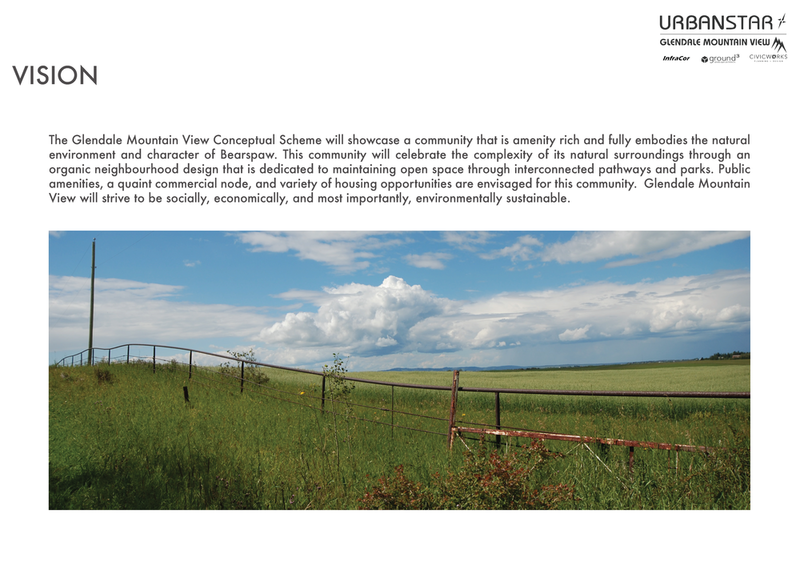 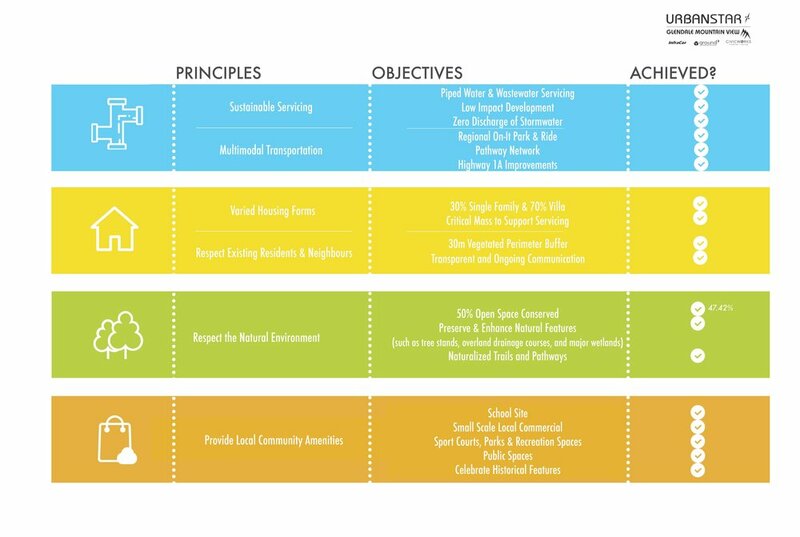 Glendale Mountain View will strive to be socially, economically, and most importantly, environmentally sustainable.